From colourful board books to thoughtful tales about the joys of Easter, we have rounded up some of the best reads for the holiday. These make a great gift idea for those who like to give something special that lasts longer than chocolate. 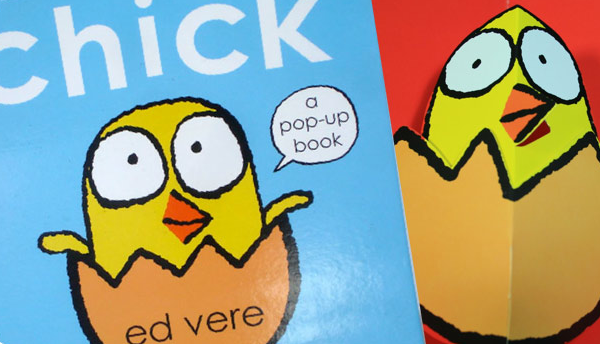 Chick by Ed Vere is a vibrant and oh-so-fun pop-up book that goes through the life of a baby chick from the first crack in the egg to cuddling up under mama hen’s wing at night. There are few words but lots of laughs in this great book. It’s a hard book to get a hold of, but there are some copies going at Amazon. For a fun twist on the usual Easter tales, you can’t go past Here Comes the Easter Cat. Cat is angry because the Easter Bunny gets so much love and attention – so he tries to take over with adorable results. The characters a full of flair and fun, there are interactive opportunities when reading aloud, and an undercurrent of meaning about valuing the hard work of others. 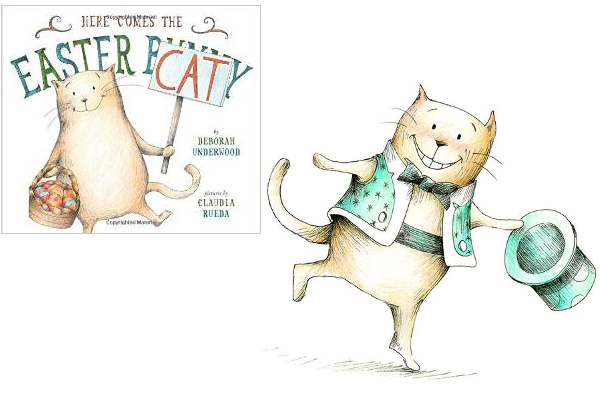 Also a wonderful book for cat-lovers as the character traits of cat are so spot-on. Available now at Book Depository. 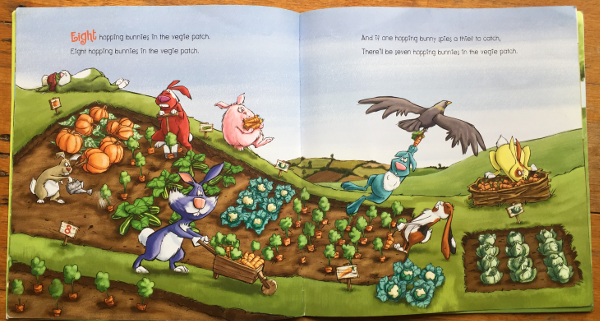 A counting book perfect for Easter is 10 Hopping Bunnies by Ed Allen and Simon Williams. I’m in love with their vibrant illustrative style and the wonderful diversity of the characters. The story is the classic count down style where one character leaves on each page and the words can be read in rhyme or made into a song. But it is the colourful characters and fun-filled illustrations that really make this a stand-out counting book. Hop into the Scholastic Australia store to get a copy for just $10, plus shipping. 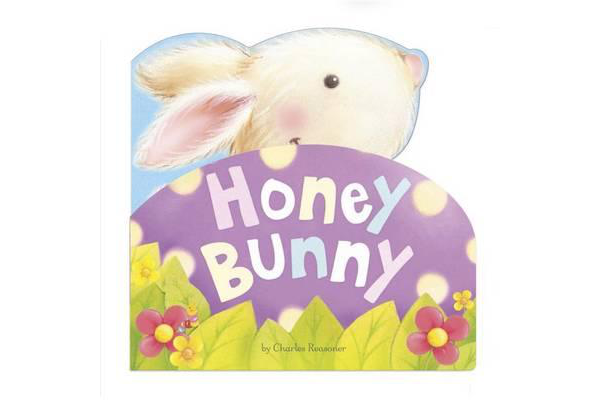 Honey Bunny is a darling board book for the tiniest of hands. Soft-coloured illustrations complement the cute and simple rhyme. The text is minimal, but I find this can be perfect for children who are trying to grasp their first words. Honey Bunny is part of the Little Cuddles series by Charles Reasoner, you can pick up a copy through Book Depository with free shipping worldwide. Classically charming with an Australian twist – The Easter Bunny’s Helpers is a lovely addition to the library of any Aussie kid. The Easter Bunny is overwhelmed this year, so he calls on the help of a few of his animal friends. Kangaroo, koala, emu, and cockatoo all set about creating Easter experiences in their own distinct way and the results are heart-warming. Pick up a copy from the ABC Shop for just $15, plus delivery. What does your child love most about Easter? This stunning and sweet book is by Australian author and illustrator Anna Walker who also gave us the beautiful What Do You Wish For?. It explores many beloved Easter events such as the hat parade, egg hunt and an Easter fair. An endearing look at the joys of Easter accompanied by Anna’s uniquely gorgeous illustrative style. 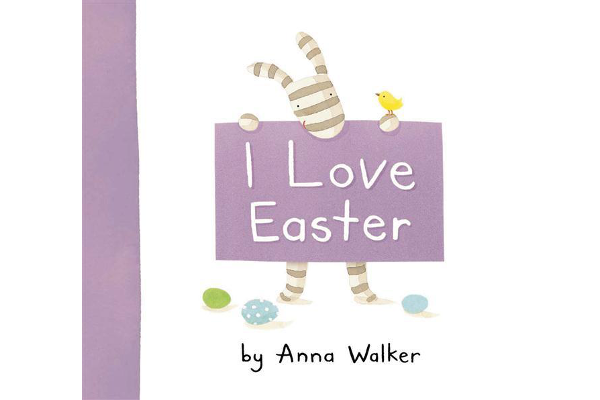 I Love Easter is available from Book Depository with free shipping worldwide. Of course, it’s not an Australian Easter without the Easter Bilby making an appearance. For our overseas readers, the bilby is our native version of the rabbit but with bigger ears and a much cuter face (in this writer’s humble opinion). 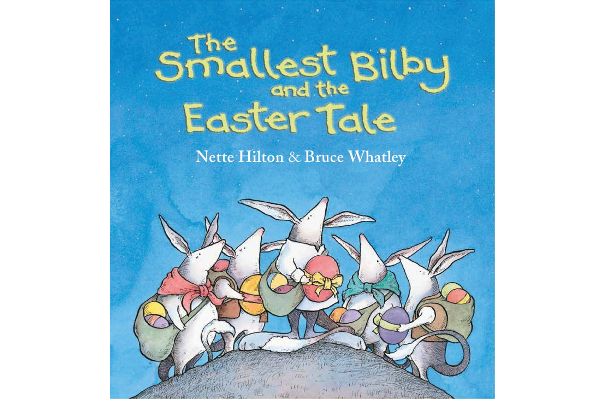 The Smallest Bilby and the Easter Tale is about a little bilby called Billy who becomes something of a hero on Easter eve when trouble brews and it looks like the Easter eggs may not get delivered. 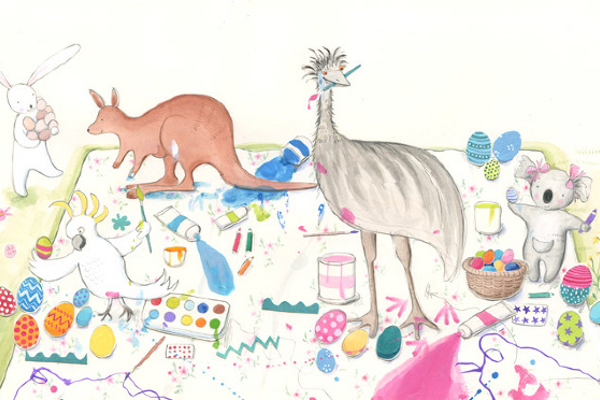 A lovely Australian Easter tale with some warm lessons about friendship and courage. Available through Angus & Robertson for $18, plus shipping. For more wonderful Easter gift ideas that will outlast the chocolate, take a look at our Easter section.